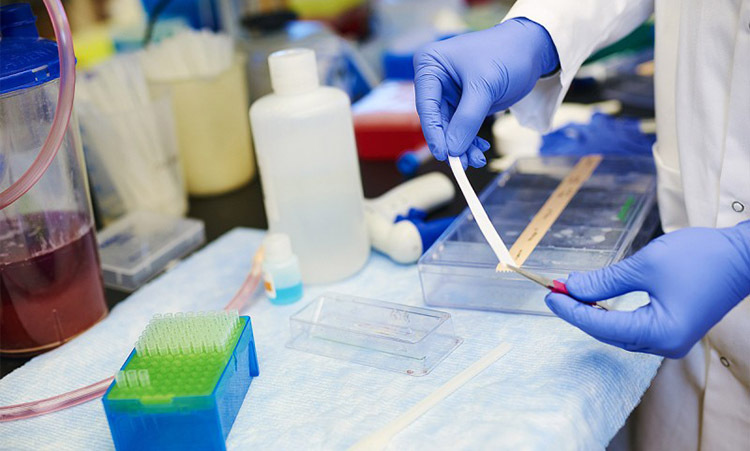 Medical laboratories are at the center of medical diagnosis, discovery and advancement. The essential and important work done daily in labs across the country naturally results in medical waste: some benign, some hazardous. The lab manager should understand and be aware of the type, volume and method of storage for each waste stream, from the moment it is generated to when and where it is ultimately disposed. This plan should be transparent, thorough, cost-efficient and should take into account local rules and regulations for Regulated Medical Waste. Depending on the type of waste, it may be governed by the Environmental Protection Agency, the Occupational Safety and Health Administration (OSHA), the U.S. Drug Enforcement Administration, and others. Your medical waste provider should be able to provide more details on these different agencies’ requirements. Identifying and separating medical lab waste. Radioactive materials: It is essential that you properly dispose of any radioactive materials, such as those used in research and to diagnose and treat certain kinds of Cancers. These materials should be stored in a closed container that is kept isolated and at a distance from the work space. Again, check with your medical waste provider to see if they collect radioactive materials. If they do not, they should be able to refer you to someone who will. Recyclable materials: these are your standard plastics, paper, glass and aluminum. Regular trash: Make sure your regular trash bins are clearly marked with a list of what can and cannot be placed inside to avoid someone placing Regulated Medical Waste in with common trash. Plan to succeed: be vigilant and proactive. A good plan also requires strict oversight if it’s to be effective. Lab managers should not only train new employees on safe medical waste disposal, but also periodically audit their lab to make sure the proper protocols are being followed. Many medical waste disposal providers offer training to managers and staff to help them stay compliant. Ask your provider if they offer such a service. If you’re unsure about any aspect of lab waste disposal, be sure to consult your medical waste disposal provider, who knows the local rules and regulations for each waste stream. Your provider can help keep your facility from being fined for improper handling and disposal of your Regulated Medical Waste, as well as protect your staff and the public from any harmful exposure. Glycon is always to help you with your Glendale medical waste disposal and other areas in SoCal.